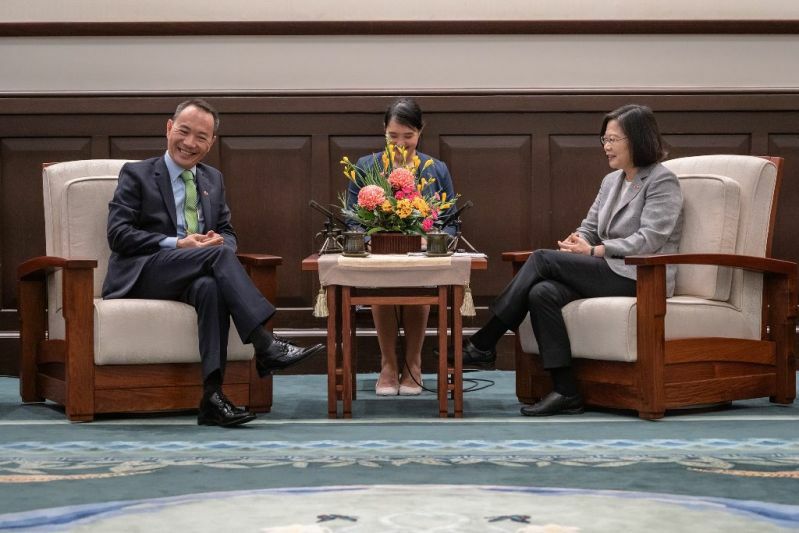 Taiwan occupies an important position in the global economy. It is a top player in the world’s information and communication technology industry as well as a major supplier of goods across the industrial spectrum. According to the World Trade Organization, Taiwan was the 16th largest exporter and 18th largest importer of merchandise in 2017. It was also one of the largest holders of foreign exchange reserves as of December 2017. Taiwan’s gross domestic product per capita reached US$24,337 in 2017. In terms of nominal GDP, Taiwan ranks close to Argentina and Sweden, while Taiwan’s GDP per capita expressed as purchasing power parity is similar to that of Austria and Denmark. The ROC Constitution, promulgated Jan. 1, 1947, did not begin to serve its intended purpose as the foundation for democratic governance and rule of law until after 1987, when martial law was lifted in Taiwan. Since then, it has undergone seven rounds of revision in 1991, 1992, 1994, 1997, 1999, 2000 and 2005 to make it more relevant to the country’s current condition. One of the important consequences of these amendments is that since 1991, the government has acknowledged that its jurisdiction extends only to the areas it controls. The president and legislators, therefore, are elected by and accountable to the people of those areas only.